So Campers, what software tools are making your life better, or just a living hell? What are the big plus points for your lovable software. What features make your hellish software so bad. Can you suggest an alternative for someone’s nightmarish software? I love Notepad++ to keep track of things. Its great for keeping a library of code snippets as it supports syntax highlighting of tons of different languages. Its very lightweight. Its also useful of making frequently used templates, just cut-and-paste them into your project. I love Adobe Photoshop and Illustrator. Photoshop is wonderful for touching up and re-sizing images. Good support for different formats, and converting between them. Illustrator ( I recently discovered ) is very good at vector graphics. These beasts can in no way however be considered lightweight! You can do some real magic with these. Rick, I have tried Notepad++ and didn’t like it, how do you use it? Which plugins you’ve added to improve your experience? Hello @fbormann , I use Plugin Manager, NppExport, JSON Viewer, JStool, and Converter. I also spent some time learning to customize the editor - involves editing the langs.xml and stylers.xml Npp files. One thing I hated about Npp was that there is no button to yellow ‘Highlighter’ text in a plain .txt files. ( at least I never found a way ). I use Npp to take notes on everything, but not being able to highlight was killing me, it make it very difficult to find anything. My workaround for .txt files was to instead save them as ActionScript ( .mx files ). I picked ActionScript because I don’t use that language, and messing with its code context coloring would’t be an issue. I edited the langs.xml and stylers.xml files so that // comments and /* comments */ got a bright yellow background color. I also removed all the coloring for all the ActionScript key words and reserved words, so now my plain .txt files only color and highlight the comments, which I use to quickly find things. I use very little. My must have is my text editor. Atom with a handful of plugins installed (maybe 4 or 5). Other than that I really only use Firefox, and the terminal on Ubuntu. On my Windows partition I use Atom, and Firefox, but I use Github Desktop. I love Github’s Desktop app. I used Notepad++ before switching to Atom. While I love it, it just doesn’t hold up to Atom IMHO. Good Morning @ronbecker can I ask you a quick question about Atom? I see Atom does code highlighting, a big plus for a developer, but does the editor have a plain text file highlighting option? What I’m asking, for an example, is lets say I have a file called responsive.txt and in it I keep all my notes, links, and snippets to all things about responsive code design. Could I then Highlight sections with lets say a bright yellow background so that I could find that section sometime later at a glance? Notepad++ does not do this out-of-the-box. It can do highlights, BUT as soon as you close the file and then a few days later open it back up, the highlight is gone. Hi @rickstewart. It doesn’t do any highlighting for plaintext out of the box. Except urls as long as you type them out with http:// first. You can get the plain-simple package, but it works more like a syntax highlighter. To easily traverse large documents I use a package called [minimap] (https://atom.io/packages/minimap). I absolutely love it. Makes finding particular items in a document so much easier. You may look through the Atom Packages. They have all kinds of community maintained packages available. I just may not know about that particular addon. Right now I’m just using Sublime text. When I started FCC, I got Atom and Sublime text and decided to code on both of them for comparison and Sublime just feels more smoother and faster so I decided to stick with it. I also tried Brackets some time ago and it’s live preview thing was great. No need for browser refreshing, as you type code the result shows up instantaneously in browser. Good stuff! The live view on Brackets almost made me throw out Atom. Then I found browser-plus. It sealed the deal for me. 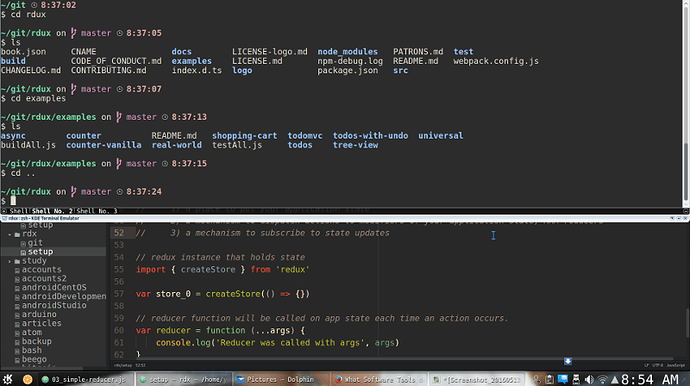 Never tried Sublime, but after getting into Atom and setting it up I haven’t felt the need to look elsewhere. Though, I will admit, start up can be really slow. Especially as you get more and more packages for it. @ronbecker @leo81202 thanks for the information. I spent some time this afternoon googling Atom and doing some reading and its easy to see why people praise it. It seems to be an extremely nice editor. I think I’d give it a try if I hadn’t paid hard cash for a year’s subscription to Jetbrain’s WebStorm. Also, I think its a bit overkill for what I want to use it for, that is, keeping notes. 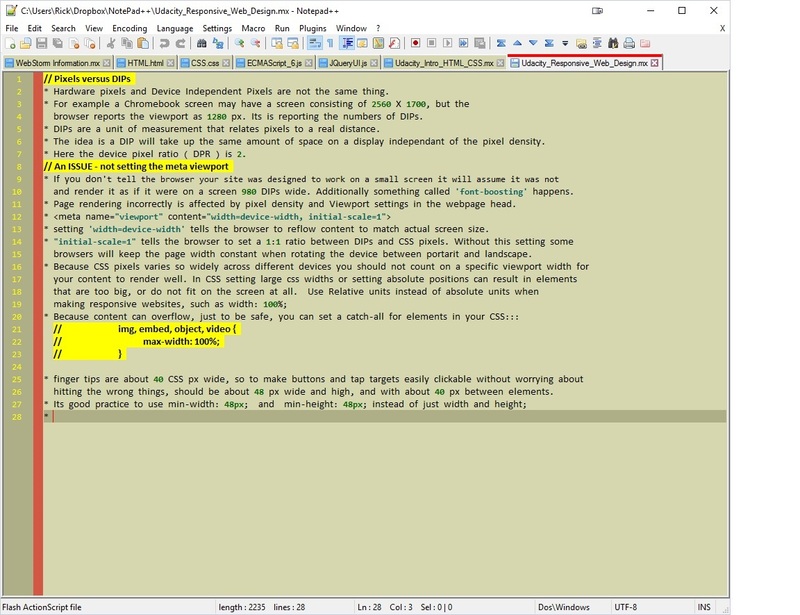 As I described in a post above I did finally get Notepad++ to do persistent Highlighting, so I guess I keep with it until something in the same lightweight vein comes along. Here is a screen shot of the way I am using it. Yeah, if you only want to use it for that an atom install is a bit much right now. 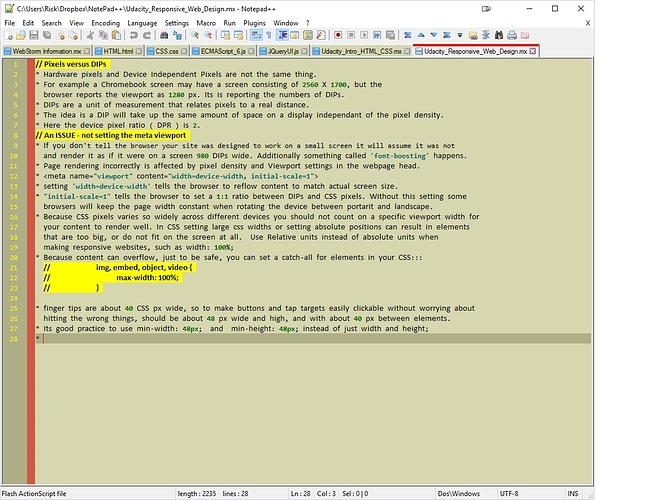 You may look at the Notepad++ plugin you use and see if you can figure out why it loses your highlights sometimes. I don’t want to start a religious war about editors. I used Notepad++ for awhile and found it to be a very good tool with lots of features. After reading a number of over the top reviews for Sublime Text, I tried it out (free for trial period). I love it and think it is the most powerful editor I’ve ever seen (good enough to get my $70). There are numerous add-in modules to add features and lots of tutorials on the web to get up to speed quickly. The documentation is not very good, but there’s an on-line project to provide better docs that’s coming up to speed. It’s worth taking a serious look at. @JHBiddle3, I don’t think you’ll start one here. Most everyone is pretty relaxed in this community. I’ve not heard much bad about Sublime, but I don’t even want to use the free trial because I can’t justify that price tag if I really like it. Haha! I’m currently in love with build tools. Gulp and Webpack are making my life so much easier. I type in one command to make my server run, watch all my files, compile, and then automatically minify and put in production when I’m ready. I’ve been using the free trial of Sublime for a good while and felt bad about not paying for it. So I recently switched to Visual Code Studio An open source Microsoft take based off Electron. IMHO it feels faster and is more close to what I liked about Sublime. You install plugins via the command palette. The intellisense, console and the ability to run gulp tasks directly form that command palette is very nice. Give it a try !